Twitter Chats are a great way to raise engagement levels, find new followers and make new connections at the same time. So in this blog post, I want to focus on what Twitter Chats are, why you should use this feature and how you can use it. 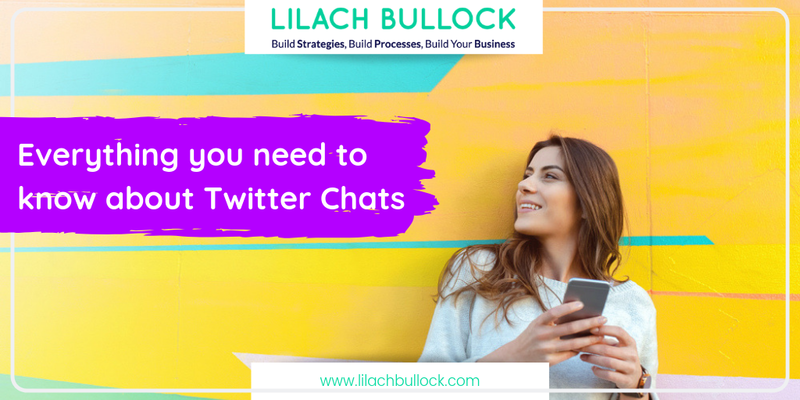 Twitter Chats allow you to connect and engage with other users about a specific topic, and at a specific time, all tied together under one hashtag. They’re a great way of uniting people for the purpose of discussing or debating a particular subject. They’re kind of like a roundtable discussion/networking event – the only difference is that it all happens online, on Twitter. Increase your brand’s exposure online: Twitter Chats are public, so whenever you engage in a Twitter Chat or even better, start your own Chat, your profile will be seen by more new users, who are hopefully interested in the niche you’re a part of. Increase your engagement: Twitter Chats are all about engaging with people. The more you engage, the more others will as well. So if you take part in a Twitter Chat, or start your own, make sure to be active, posting new updates and replying to tweets. Talk to your customers and fans directly: Twitter has always been a great tool for facilitating business to customer relationships, and with Chats you can have even more in-depth conversations, answer any questions your customers might have, and manage your customer service, all in one place. Grow a solid community of engaged fans: As I mentioned earlier, Twitter Chats are a great way to engage, but they also create a sense of community when people log on regularly to participate. It can help increase brand loyalty, and help you get more brand advocates that will talk about your business and share your most important updates with their followers. Learn new things: Twitter chats can also be used as educational tools. People could share interesting articles they’ve read, tell you about new tools that have helped them be more productive or news in your niche that you haven’t heard of until then – whatever it is, it’s good to be prepared to take some notes. 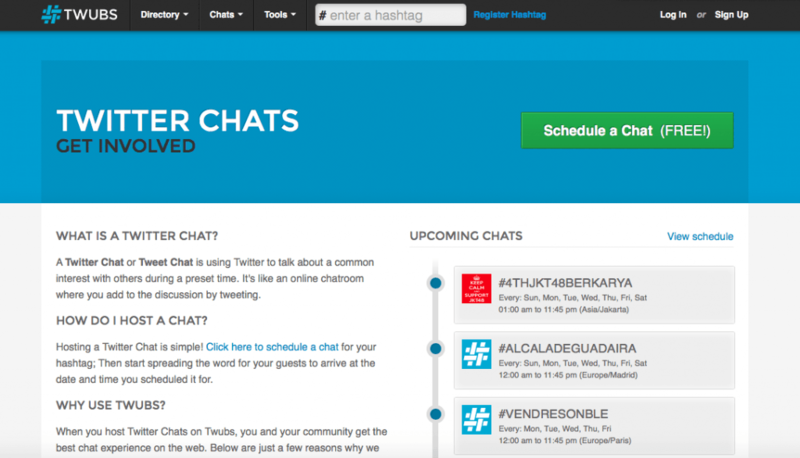 How can you use Twitter Chats to your benefit? Participate in others’ Twitter Chats: Start by observing and participating in existing Twitter Chats to get a better idea of how they work and so you get the hang of it. Even if you start your own Chat, it’s still useful to participate in others, as you get to meet and engage with more new people that are interested in the same things you are. Start your own Twitter Chat: To start your own Twitter Chat, begin by thinking of a unique, catchy and short hashtag that you can use. Afterwards, select a time and a date that you know your audience will find convenient (check to see when your audience is most active on Twitter, for example). It’s also a good idea to create an image for your Chat that has the date and time, as well as the hashtag on it – and if it’s going to be a regular event, you can just create a template that you can update and re-use. Then, it’s all about making sure your audience knows about it: announce it on Twitter a few different times, and pin one of the tweets to the top to make sure it’s the first thing people see when they visit your profile. Make sure you also advertise it on your website and you can also add it to your email broadcasts. Once the time comes, make sure you’re prepared with plenty of things to say and share if the conversations stall. 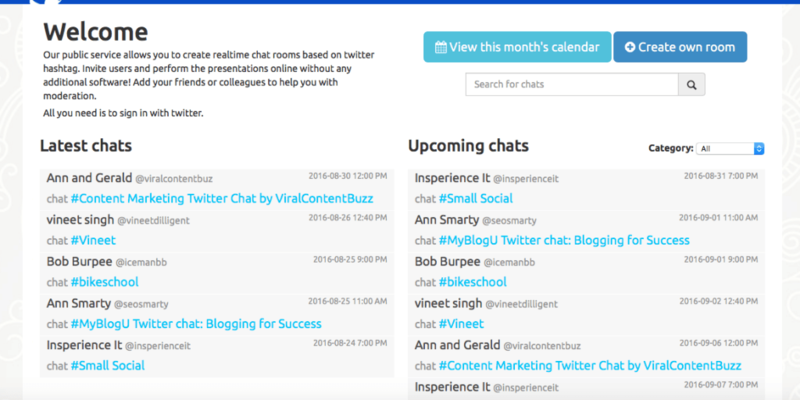 You can use Twubs to find Twitter Chats easily via their Chats Calendar here. If you host your own Chat, once it starts, it will appear right at the top of the calendar, so you might also get some more participants. Setting up your own Chat is very easy and once you start tweeting, the tweets will appear instantly. By using Twubs, you can also brand the Chat page in order to increase exposure and awareness, and your tweets will stand out as well. Nurph is a tool that allows you to participate in and create real-time Twitter Chats. What makes Nurph stand out is that you don’t have to stick to text, but you can also do audio and video chats. After chats, you can check your insights, and find out who were your most active participants, what the best tweets were, and who were the most influential users. Nurph also has full replays in real-time, that you can watch once the Chat is finished, screen sharing, as well as emoticons and sound effects to make your tweets and Chat stand out. You can even send text reminders to participants to make sure they remember to log into your Chat. With tchat.io, you can easily join conversations simply by entering a hashtag. This is a great tool for when you just want to chat for a bit. It’s very easy to use, takes seconds to join a chat, and tweets are updated in real time. Twchat is a Twitter Chat manager that allows you complete control over your chat room. What makes it different from other tools is that you can filter the tweets that come in – for example, to filter out the retweets. You also see all tweets in real time and Twchat automatically inserts the Chat hashtag in your updates. Simply enter the hashtag you want and TweetChat will connect with your Twitter account and take you to the chat you wanted. From there you can browse through other active rooms or visit your other Chats. With their FavePages feature, you can keep track of all your favourite tweets from the hashtags you took part of, as well as see what others favourited. Their new FavePage Stories feature is also pretty cool – basically, you can create the ‘story’ of your Twitter Chat, with the best tweet, personalises titles and more.